Reviews and Testimonials for Break Through Inc. I wanted to personally thank you for your heartfelt talk at Sheridan College on Monday night. I went to the discussion with some preconceived ideas and I was prepared to take notes, as if in a lecture. But instead, I enjoyed a friendly conversation with a friend! You created a warm and safe environment in which to share and ask questions. Your sense of humor had all of us chuckling and smiling. I especially felt connected to your life-story, as I am the parent of a child with a disability who scored low on an I.Q. test when he was a small child. My son spoke in gibberish and his answers were marked incorrect when he did not enunciate clearly. His answers were also marked incorrect when he answered the question based on his life-experiences rather than the expected answer. He knew that we put “e-sel” (diesel) in our automobiles rather than gasoline. My son is graduating from college with a bachelor’s degree in May of this year. You helped me to reminisce and to appreciate how far we, as a family, have traveled. But the real success story for my son is the same as yours. Neither one of you let a number define who you are, nor did it define what you are capable of doing. “IQ of 63, So What!” is so true!! Throughout your talk, your positive attitude and your confidence were evident. You are a gracious, mature advocate for yourself and for others. Your belief in looking for and in finding the goodness of others is inspirational. You are a true mentor to students of all ages. Thank you so much for being an inspiration to me as a parent of a child with a disability, and as an educator who has first-hand experience with discrimination and bullying in the school system. "I am pleased to be writing this letter of recommendation for Ben Anderson. I have known Mr. Anderson for several years and have enjoyed reading his books and hearing him speak. During 2012, Mr. Anderson received two grants from the SD Council on Developmental Disabilities to provide disability awareness and bullying sessions to schools across the state. In addition, he presented at several places of worship. Mr. Anderson traveled across South Dakota during April and October 2012. He spoke to thousands of students, teachers, coaches and community members - sharing his life story and providing information on bullying and why it needs to stop. 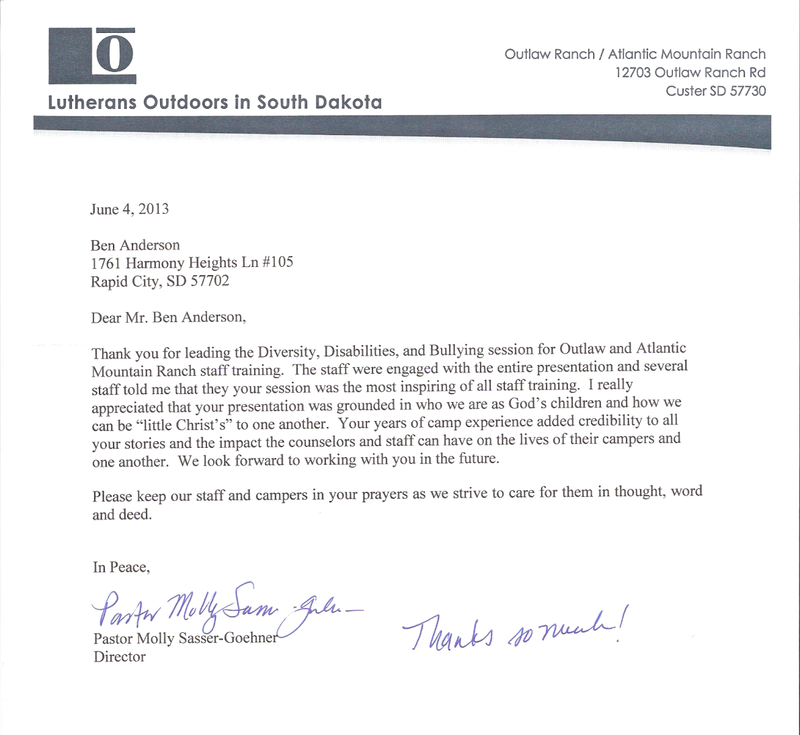 Mr. Anderson has presented many times at conferences in South Dakota. His sessions are always educational and enjoyable as he uses humor to get his message across to everyone. Evaluations always show that people enjoy the sessions and feel they learn more about people with disabilities as a result of Mr. Anderson sharing his story. If you have any questions, please contact me at 605-773-6369. " 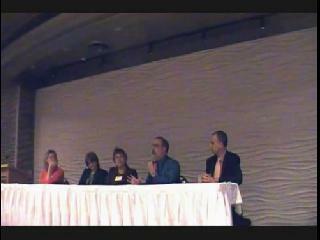 "Thank you for presenting at the 2010 Early Childhood Education Conference in Menomonie. Thank you for presenting at WyPEC's Sixth Annual Paraeducator Conference. Your contribution was very helpful in making the 2009 conference a success. Enclosed ( below) is the evaluation scores and comments in reference to your session. 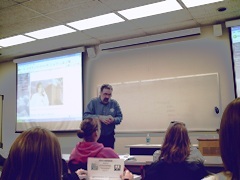 I was in one of the Diversity Management classes that you spoke to at UW-Stout on Tuesday, November 3. You are a very influential man and told a wonderful story. I now believe that every person has a disability, after your presentation I thought about it and I recognized mine. Thank you for coming to our class and speaking to us!--Sincerely, Jennifer S.
"We thoroughly enjoyed your presentation, Ben, here at Lockheed Martin this afternoon. The Diversity Council of Lockheed Martin Tactical Systems in Eagan, MN, of which I am the Chairman, really wanted a dynamic and interesting keynote speaker to help us kick-off October Disability Awareness Month, and you certainly filled the bill. Your ability to lighten the audience with your self-deprecating humor and insights on seeing the workplace from the eyes of someone with a disability allowed the audience to really grasp some of the main issues people with disabilities deal with on a daily basis and to empathize with them. I feel it was very worthwhile for our employees to be able to ask questions of you directly and to appreciate your perspective of living in a world and workplace of varying levels of accommodations. Your discussions opened many eyes and I m sure will go far in changing the attitudes of many of our employees toward those co-workers with disabilities. Thanks so much for adding so positively to our working environment! You re doing a great service for all of us." Thank you so much for coming to our class to share your experience and your passion. As an advocate who has experienced the problems within the system, your perspective was invaluable. I found the information regarding the stress and demands placed on parents of children with disabilities very helpful. You get better and better!! Thanks so much for talking to the students in inclusion classes. Several students thanked me for inviting you and say that they really enjoyed meeting you. I applaud your efforts and passion for advocating in favor of persons with disabilities! 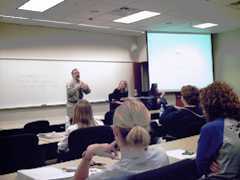 Thank you for lecturing in our Inclusion class at the University of Wisconsin Stout. I respect everything you are accomplishing and admire your strength and perseverance in fulfilling your goals. Thank you once again for visiting Seattle Pacific University and sharing with us about your journey of faith. I especially appreciated your advice for parents of children with disabilities. I visited the Beach Center website, and it looks like that will be a valuable resources as we learn more about our son’s disability as well as support available to us as parents. I was asked to send an informational note regarding the presentations that Ben has done in my 5th grade class room. I have known Ben for about twenty years. He is a good friend and a person I quite admire. His story from childhood is an interesting one from being misdiagnosed as "retarded" to graduating from Stout University at Menomonie, WI. To make them aware that each of them has a disability. Therefore they ought to be accepting of others rather than judging them. Ben speaks to the students with humor yet stresses the seriousness of hurting people like himself. He speaks from first hand experiences as he relates stories about being teased on the playground as a child and being turned away from public places as an adult. The best part of the session is watching the students ask questions at the end. Years later my former students will stop me on the street and say "I saw Ben today". He makes an impression that can be remembered and help change the stereo-types and unfounded fears about people with disabilities.